The world is filled with amazing cheeses. They’re all different colors and tastes. Buy some and give them a taste test. Check off the box after you try each cheese! Once you’ve done your shopping for these world famous cheeses, how about making a Cheese Tasting Tray to serve at a family get-together or party? Have the kids build it, and make it look wonderful. Add a few spoons (drizzle olive oil onto bread) and a cheese slicer to the tray and watch the different cheeses all disappear as everyone discovers their favorite flavors. Add a twist on the cheese tasting party with Bake & Twist Cheese Straws and add some crunchy parmesan cheese flavor to your cheesy fun. 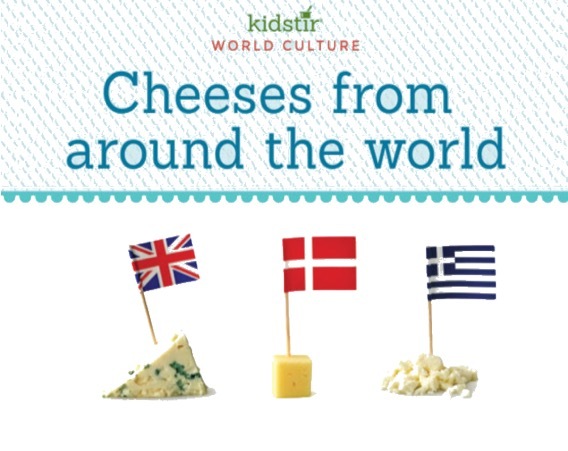 We’d love to offer the Kids World Cheeses Infographic for you to share on your blog. Just select and copy the code snippet below and paste into your next blog post. 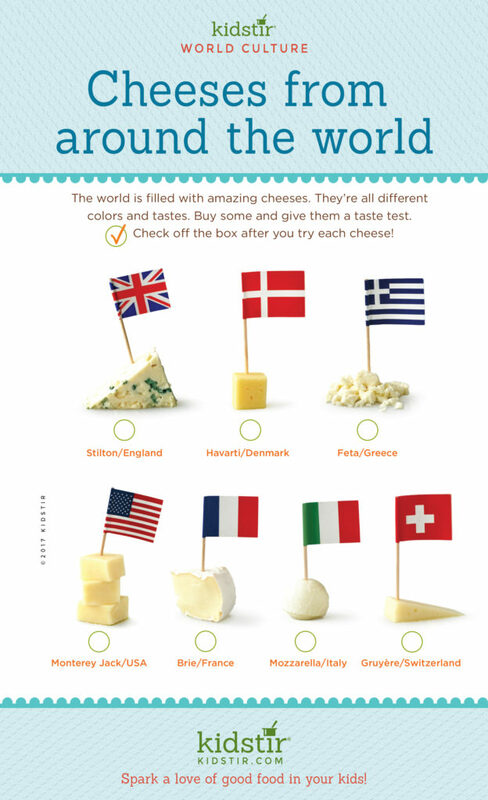 We’d love for everyone to share this page on social media or email using the buttons below so you can share our Kids World Cheeses Infographic!